What's New with Roxannes' ?? 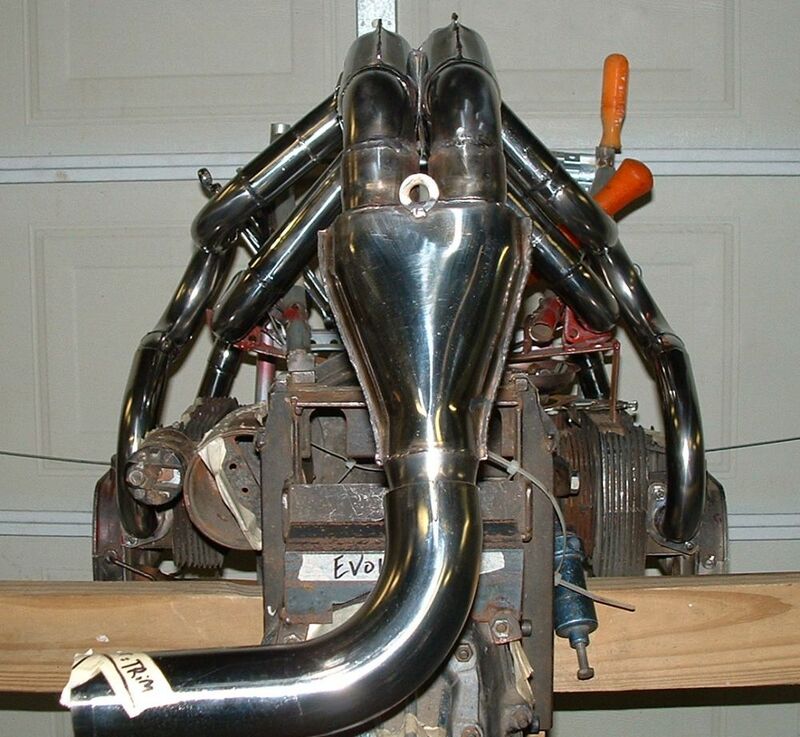 Roxanne's now offers exhaust components for the do it yourself enthusiast! Also - new design for Vintage FF cars. 'Tighter' Formula V exhaust primaries - Model # SSFMV - Same winning performance but better clearance from body, spring, starter and oil cooler. Fits Caracal, Crusader, Mysterian, Protoform 2,3,4 and Vortech . See photos. 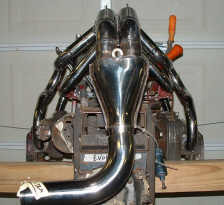 Formula Car Magazine project car uses Roxannes Headers. 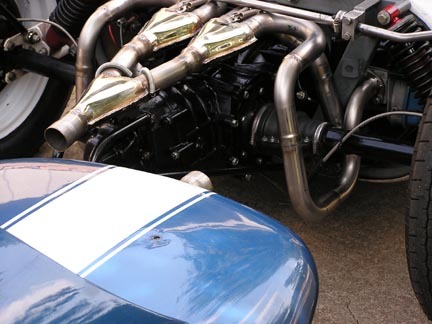 Roxanne's Headers was pleased to provide the exhaust system for the Formula Car Magazine project car driven by Rob Howden. The car had its' debut at Road America in August, 06. For full report click HERE. Find out more about Formula Car racing at http://www.eFormulaCarNews.com. For subscription information to Formula Car Magazine please click HERE. For more pix check out our Header Gallery! We recently developed a new equal length stepped primary and new flat collector for the Zink C-4. First performance reports are very promising. Please see testimonial! We have named the system: the "Zink Geezer" for the race team for which it was initially built. Make your system SHINE!! Contact US for details. Dual Merge and Big Bend collectors - New Flat Dual Merge! Roxanne's is now delivering a new configuration primary system for Citation and for Womer EV-3. The EV-3 system should work well for other cars with remote oil coolers as well. Both systems feature 2 step primaries (tested more than 1 HP better than straight 1 1/2) and the latest version of the "Dual Merge" collector that won the 2004 runoffs. Note new position of "loops"! TERMS: Shipped upon receipt of payment or COD. All prices plus shipping!